Superdry men's Athletico crew sweatshirt. This sweatshirt is designed with four-way stretch technology for dynamic movement and comfort. 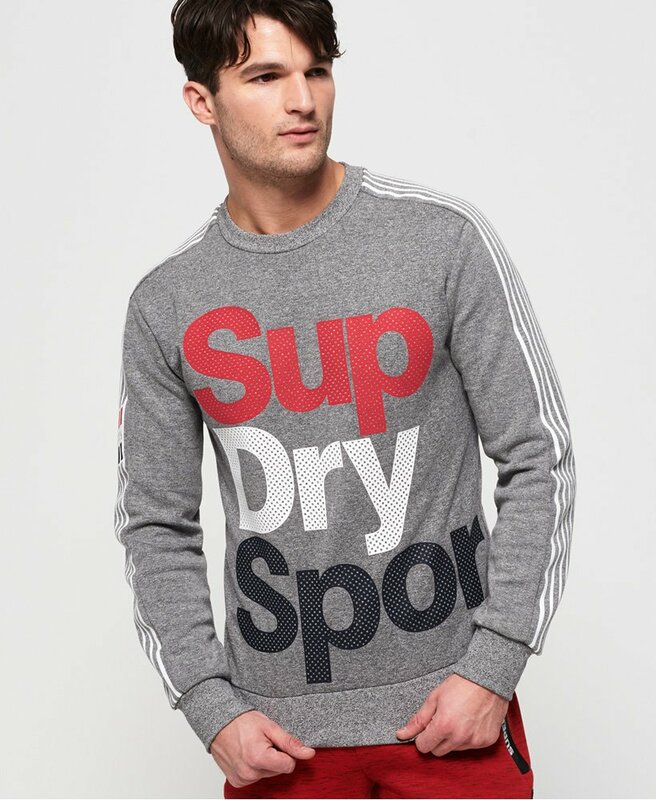 This sweatshirt features a large textured Superdry logo across the front and part of the back and textured stripe detailing down the sleeves.